Denise Jones, left, daughter ChiKodi Naki and sister Valencia Jones posed together for a picture. 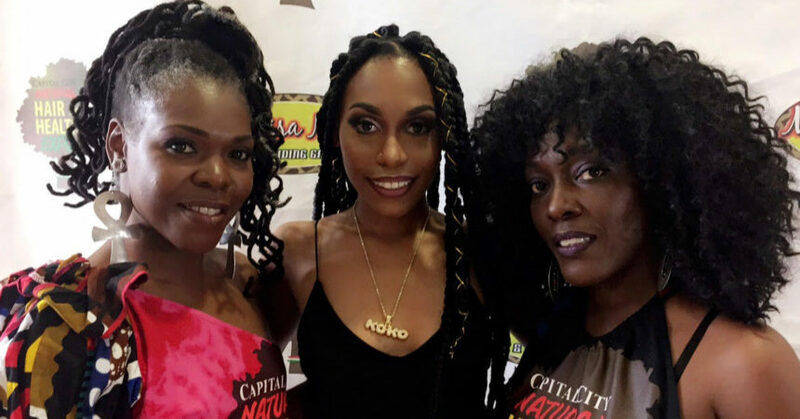 When Valenica Jones first tried her hands at cosmetology 1990, she didn’t expect it to take her as far as she has gotten in the business. Her drive is the passion she’s developed for working with natural hair that still drives her today, she said. Nowadays he works alongside her sister, Denise Jones, at Mandisa Ngozi, a salon that they own. 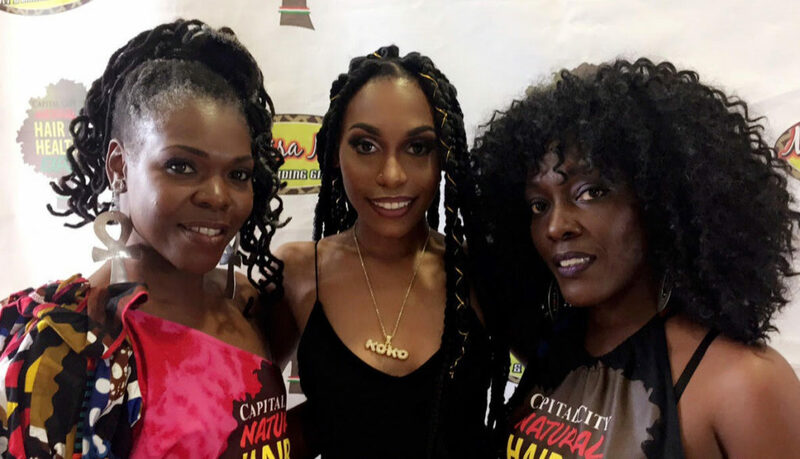 They are believed to be the first to own a natural hair salon in Florida. For six years now they’ve been staging the Natural Hair and Health Expo, the most recent edition taking place this past Sunday. Bouncy curls, neat locs, unique braids, and natural twists were the main display at the event. Their brand has gotten to the point that the sisters make their own hair products. The line includes natural aloe and shea butter crème for dreadlocks, natural hair oils for braids and black soap. Obviously, the sisters use the Expo as a marketing tool. More than 50 vendors, motivational speakers participated in the event, which also featured live music. Several vendors sold hair products while others brought beauty to life through art. Kadija Christie, who is just as passionate as the sisters are about natural hair, took time to demonstrate the difference. With every stroke of her brush, she decried perm hair while showing love for kinks and coils.